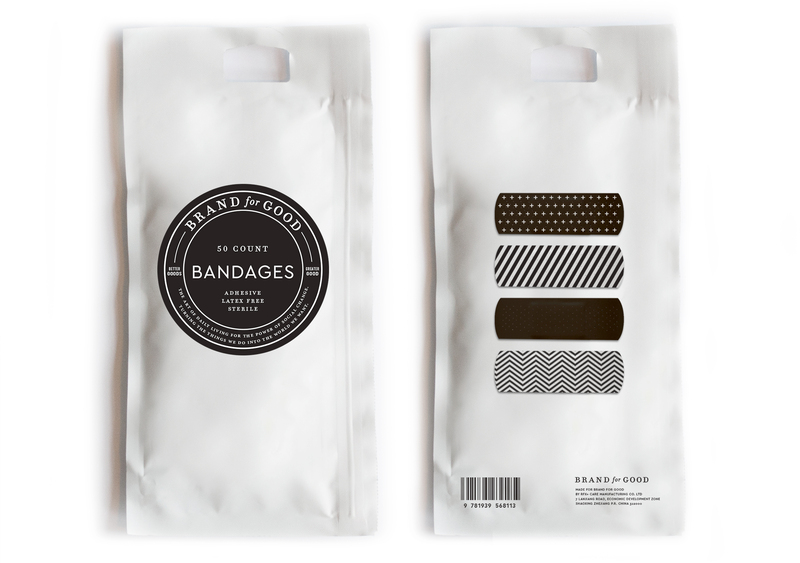 A dream project for us: imagine a utopian brand of products backed by a humanitarian business model. What if we could turn the things we buy into the world we want? 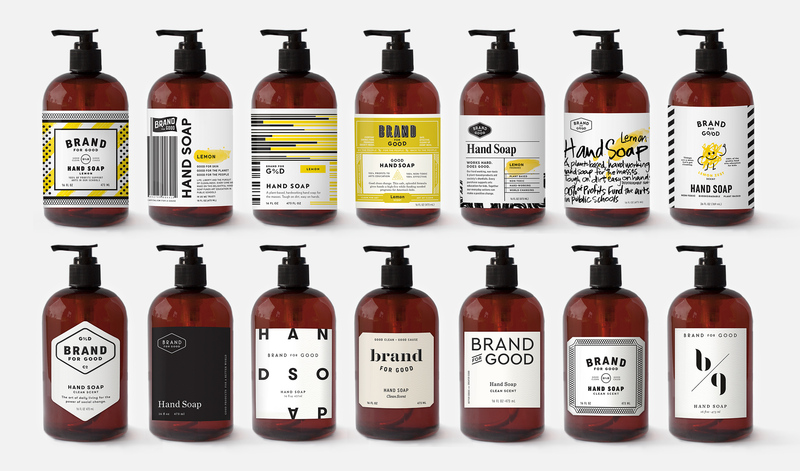 Brand for Good’s visionary founder, Lawrence Koh, believes in harnessing the power of capitalism to improve society. We worked alongside an incredible team of people to help bring Lawrence’s vision to life: consultant Monica Nassif, writer & strategist Julie Kucinski, and an influential A-list celebrity artist who served as the project’s creative director. 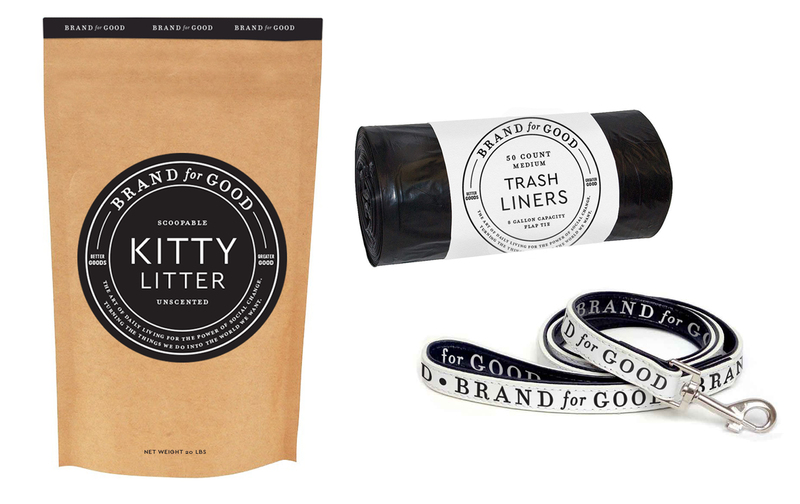 Brand for Good is better goods for the greater good: 100% of net profits support arts and music for kids. Why the arts? Because participation in art, music, & theater improves academic performance, decreases behavioral problems, keeps kids in school, and helps them reach their full potential. Why basics and consumable products? Because we use them everyday, so why not make them work harder for our communities. Why black and white branding? Because it’s for everyone and it fits everywhere. Can your paper towel purchase inspire the next Basquiat? Can your glass cleaner make a young voice heard? 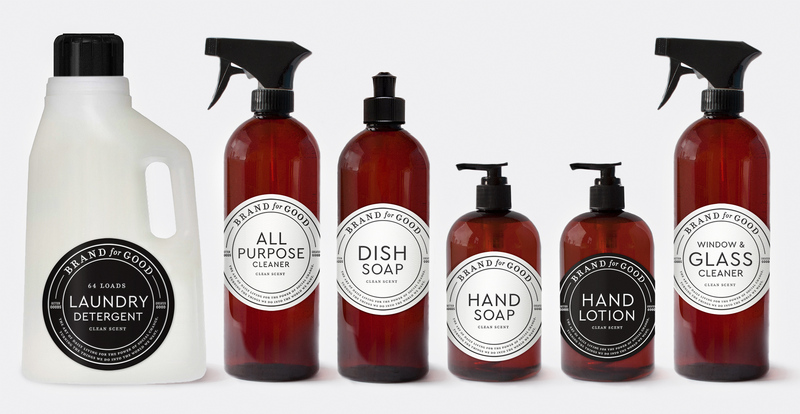 That’s the goal of Brand for Good—a beautiful dream that we hope will become a reality soon. 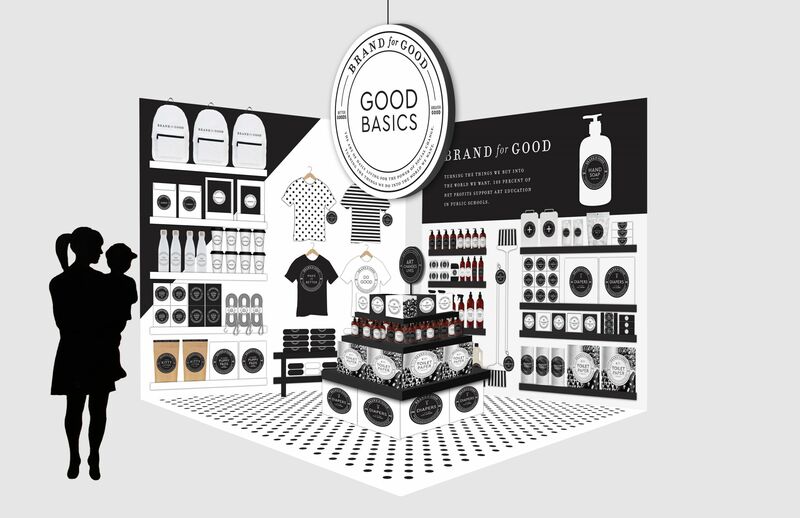 Brand for Good combines a traditional retail approach with non-traditional tactics, including the Brand for Good bus: a mobile pop-up store that spreads the company’s message and delivers better basics to underserved communities. Additional brand concept work. We designed an unusually large number of concepts for this project. In the first round of concepts (first row, below), we experimented to find the right balance of product, brand, and cause messaging. 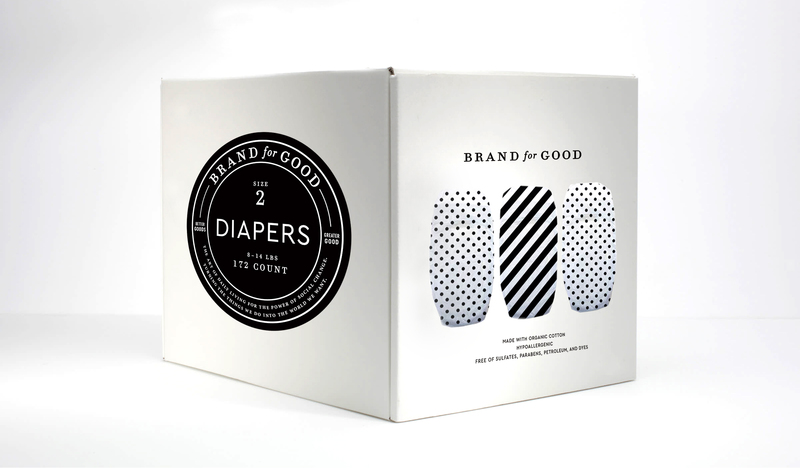 In the second round (second row), we zeroed in on a black-and-white only approach and simplified the design with the goal of developing a more universal brand, something that would work well in mass retail but wouldn’t feel out of place in an upscale boutique and which the celebrity creative director could confidently and authentically promote.